As a part of Team Urban vs. Team Epic fantasy week, hosted by +Entangled Teen, I'm sharing my top 5 reasons why I loved Garden of Thorns by Amber Mitchell (March 6, 2017). Stay tuned for my full review in a few days! ✴ It's immediately captivating. The opening scene sets the tone for the novel promising an adventure. The story that follows lives up to that promise and more! It doesn't take long for you to be pulled into the story and you'll be completely immersed by the third chapter, at least. ✴ Identifiable heroine. Rose is my favorite kind of heroine. Her past is marred in trauma and she's survived the worst, yet she stands tall and fights. If I ever found myself in Rose's situation, I hope I'd be as strong! ✴ Slow-burn romance. Yes, ladies and gents, there's no insta-love here! The characters fall in love at their own time and make a habit of dancing around each other's feelings. I love when the romance simmers just beneath the action! ✴ Originality. Sometimes a story may have similarities to another story as far as plot or theme goes, but fantasy is the best genre to find original settings. The world created is completely made up from the mind of the author. Garden of Thorns is one of those stories that allow you to completely escape from reality. Without the distraction of wondering whether an action in the story is plausible, or not, makes for faster reading, too! ✴ Fun. Garden of Thorns is a fun story to get lost in. Sometimes I shy away from fantasy because I expect boring backstory or technical info dump that describes, in minute detail, different aspects of the world. Fortunately, Amber Mitchell mastered the art of pacing so the information needed to understand the story is given at the right moment, and in the right way. She doesn't throw it at you all at once, but spreads it between the action and swoon worthy kissy scenes. 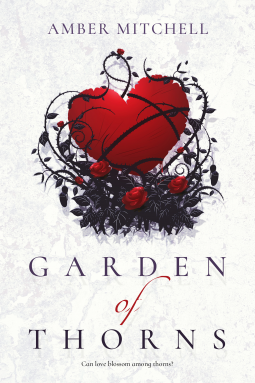 I hope you'll go check out Amber Mitchell's debut novel, Garden of Thorns, hitting shelves on March 6! Read more about it below and don't forget to enter the giveaway! 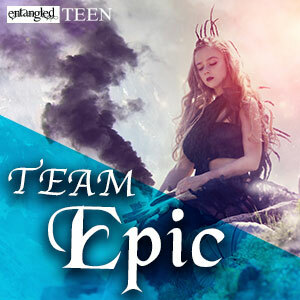 Also, click here to read why Entangled: Teen authors love epic fantasy. Enter the Urban vs. Epic Fantasy Giveaway!